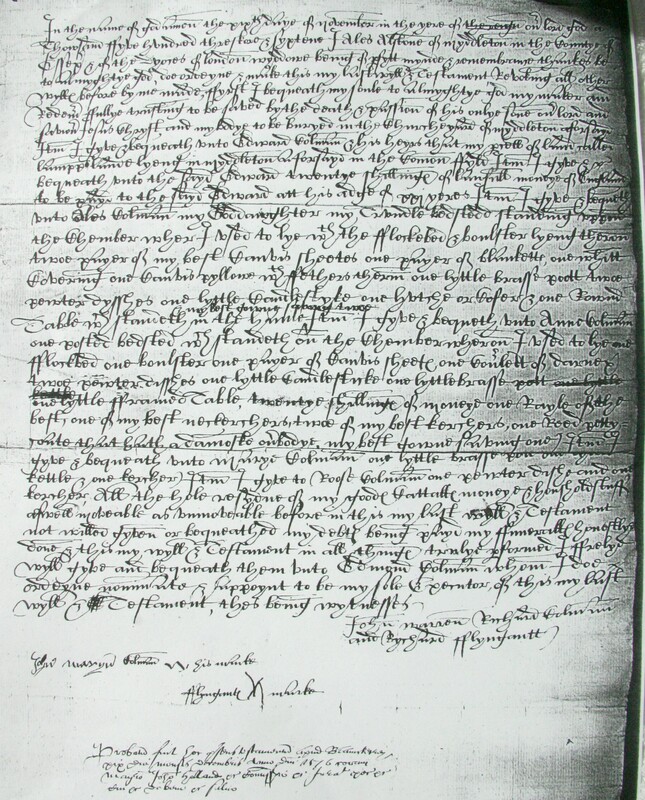 Alice a widow of Middleton ESS, her will dated 1576 is on fische (?) Essex RO ref 21BWZ D/ABW 2/21 - unable to read it 2002. 1. Alice Alston: Will, 1576. To be transcribed.